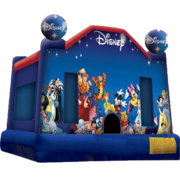 PartyZone Event Rentals has the largest selection of bounce house rentals in New Orleans. If you are looking to get the party started, look no further. 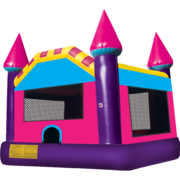 At PartyZone, we provide you with clean, high quality and affordable bounce houses! We are New Orleans go-to source for fun using our bounce house rentals. Are you ready for some bounce? You’ve chosen the right company for your event! 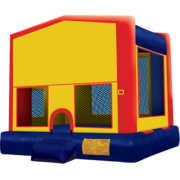 Our bounce house rentals are the perfect way to add hours of fun and entertainments to any event. No child can resist the fun of a bouncy house! Not only do they provide exceptional party entertainment, they also provide a safe and fun way to tire children out! 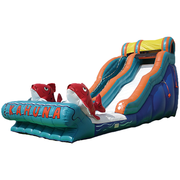 Browse the selection below and click on the image or title for additional details, where you can reserve your bounce house online with the click of a button. Looking for something a little bigger and more fun? Click here to see our action-packed combo bouncers! These large jumpers have more fun elements to keep the older kids busy just a little longer. On Time Deliveries. Clean Inflatable Bounce Houses. Professional Service. 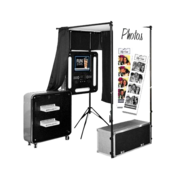 PartyZone takes the guess work out of party entertainment by helping you to design and plan your next event to take some of the stress off of you. There are many advantages to booking a bounce house for your next event. Bounce house rentals are one of the most economical ways to provide entertainment for party goers, so you can ensure the kids will be entertained without breaking the bank. Bounce houses are very customizable. You can choose a theme, size and style that will best suit your event and guests' needs. Best of all, the parents at your event will thank you for keeping their children entertained throughout the entire party, which allows parents to relax and fully enjoy the party as well. 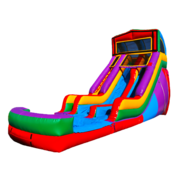 Why Choose PartyZone for Bounce House Rentals New Orleans? We've been serving New Orleans and the surrounding River Parishes since 2009. 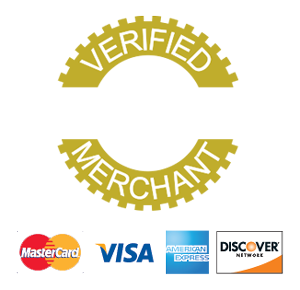 We are proud to be a locally owned and operated business who prides itself on providing superior customer service and value to our customers without breaking the bank. 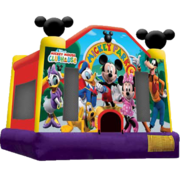 When you are booking your next event, renting a bounce house from PartyZone ensures that every child in attendance will have a great time. With the largest selection of bounce house rentals New Orleans, you are sure to find the right bounce house to make your event a hit! What Types of Bounce Houses Are There Available in New Orleans? 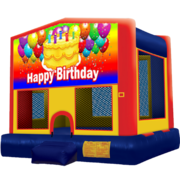 While there are mostly called inflatable bounce houses, some even refer to them as spacewalks, moonwalks, moon bouncers, fun jumps, jumpers, bouncy castles, jumpy castles, bouncers and many other nicknames. It doesn't matter what you call them, they all have one thing in common and that is hours of FUN for the kids. Among our standard large sized bouncers, there are a few upgraded bounce and slide options which we call combo bouncers. 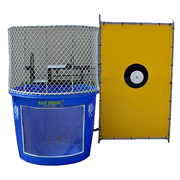 They are your standard bounce unit with some cool added features. Most feature a climb and slide along with basketball goals, vertical and horizontal obstacle pop-ups. If you are looking for a little extra then just bouncing for the kids, take a look at our combo bounce houses. Over 60 Themes to Choose From! 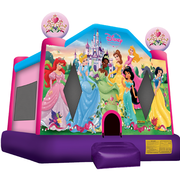 PartyZone offers over 60 different themed bounce house rentals for you to choose from when booking your next event. No matter what type of event you are hosting, you are sure to find a bounce house theme that fits in seamlessly. There is something for everyone! Hosting a kid's birthday party? We have special happy birthday themed bounce houses. Does your child have a favorite cartoon character or TV show? We have all of the most popular characters themes available like Disney Princess, Mickey Mouse, Minnie's Bow-Tique, World of Disney, and much more. Use our Shop by Theme feature to find exactly what you're looking for! Want to raise the bar with the traditional bounce house and kick it up a notch? 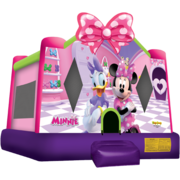 Check out our selection of combo bounce houses! 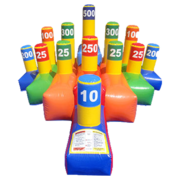 We offer 4n1, 5n1 and 7n1 combo bouncers that combine the traditional bounce house fun with additional elements and features that provide even more interactive fun and play. Some like to call them bounce and slide inflatable combos. 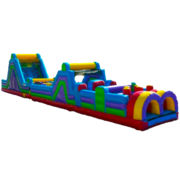 Expecting little jumpers at your event? Don't risk the little ones getting overpowered by the bigger kids, rent a toddler sized bounce house! 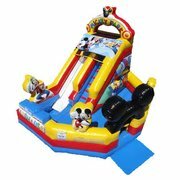 Action packed with smaller slides, interactive graphics and large inflatable pop-ups, they are perfect to entertain the toddler crowd. Our toddler bounce houses are designed with the little bouncers in mind. These bounce houses are smaller and provide easier, safer access to the toddler crowd. The parents have an easy access viewpoint with the lower height walls to watch your children at play on our inflatables. We Service All Types of Events-Big and Small! No matter size or type of event you are hosting, PartyZone New Orleans has the perfect bounce house for you! If you are hosting any kind of event and want to impress your guests by providing them with a great time, we can help accommodate it! 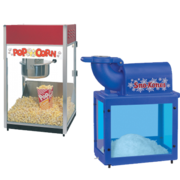 We have plenty of other event rentals to make PartyZone your one stop shop for all your rental equipment needs. 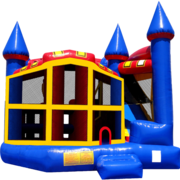 We meticulously clean all of our rentals between use and guarantee that when you rent an inflatable bounce house from PartyZone, it is coming to you clean and sanitized. 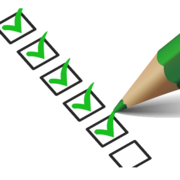 Our crews will inspect each unit once it's delivered to you for damage and cleanliness. We take great pride in providing only clean, safe party fun to all our customers. 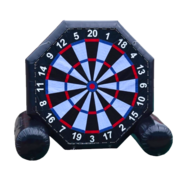 All of our inflatables are commercial-grade quality and are manufactured with lead free vinyl. Each bouncer has see-through mesh netting so the adults supervising can have a view of the action at all times. 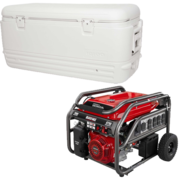 Emergency exits are conveniently located on the roof in the event a unit loses power. The bounce houses feature entrance and exit inflated ramps to keep the kids safe getting in and out of the unit. 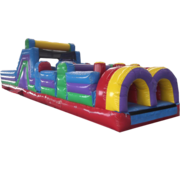 PartyZone bounce house rentals New Orleans offers affordable pricing on all our rentals. 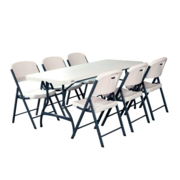 We understand that planning and executing an event can not only be time consuming, but also costly. 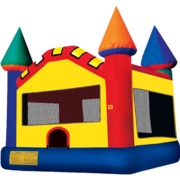 We price our rentals at an affordable and competitive rate to make renting a bounce house for your next event a possibility on any budget! 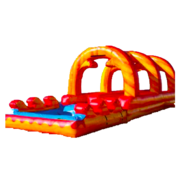 Our inflatable rentals won't break the bank but will provide you with the fun needed for your event. We take the hassle out of finding and renting a bounce house in New Orleans. We designed our website to be user friendly and convenient. Simply go to our website, choose your event date and view an up to date list of our available rentals for that day. Choose your rental, add it to the cart and check out-it's that easy! Have questions before your rental? No problem! 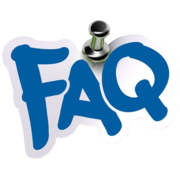 Our website has a live chat option to quickly and conveniently connect to a live representative right here in New Orleans who can help you with any questions or concerns that you may have. We are also available by phone or email! 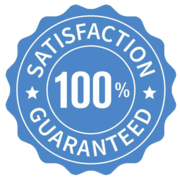 We are so confident in our dedication to customer service that we guarantee it! Our customers are our main priority and we believe that the customer is always right. 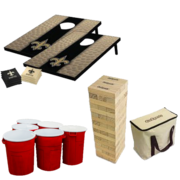 Party Zone Event Rentals New Orleans goes above and beyond to make sure that your bounce house rental experience is bar none. From start to finish, we provide a top notch bounce house rental experience. 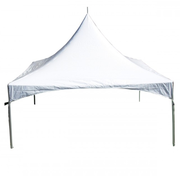 The price you see online includes delivery and set up of your bounce house rental in New Orleans, in most cases. We service all of New Orleans and the surrounding areas. Check our delivery area map located on our website to make sure that your area is covered. If you don't see your specific area listed, feel free to contact us to see about making special arrangements. We delivery all bounce house rentals New Orleans on the day of your event, at least two to three hours prior to the expected start time. 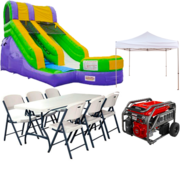 This gives our team the time they need to ensure proper set up and functioning of your bounce house well in advance of your party kicking off. 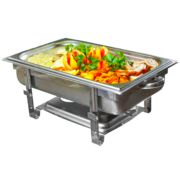 We understand that you have a lot on your plate on the day of your event, PartyZone takes care of your bounce house set up so that you don't have to!